One thing I can say for sure : this story is about the love of a mother for her child. Being a mother myself, I could certainly understand how Jen felt. You always want to protect your child and definitely after what she had been through. But there is much more in this book. You also get suspense mixed with lies and deceit. You feel for Jen after the accident and you are relieved when Gracie recovers. Little by little Jen seems to get her life back on the rails but all that glitters is not gold and dreams can shatter easily when everything is revealed. All is well that ends well? That's for me to know and you to read. So grab your copy and enjoy. Thank you Jill Childs, Bookouture and Netgalley. This well written tale explores the depth of love a mother has for her child. Could hardly put it down until I was finished it. This was a great book, another one of those that I couldn’t put down once started. I felt a kinship with Gracie because I have a granddaughter the same age. 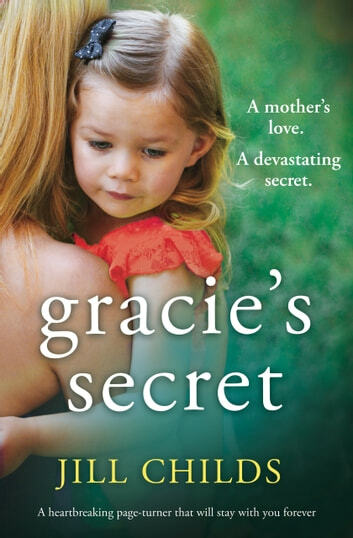 I really liked Jen but I had a hard time understanding why she kept losing Gracie. We would never let our little one out of our sight let alone run loose long enough to get lost. I would give this book a strong four star just because it kept me on the edge of my seat and because I read it when I should have been doing other things.